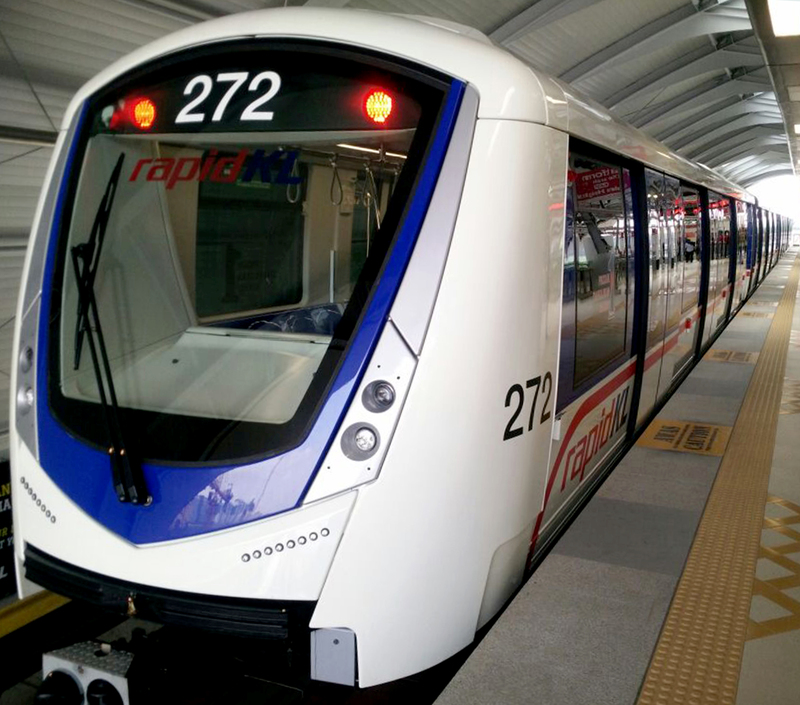 Berlin, Canada, 2017-Oct-17 — /Travel PR News/ — Rail technology leader Bombardier Transportation and Malaysian partner HARTASUMA SDN BHD have completed the final train handover in the 2012 contract to deliver 14 new, driverless BOMBARDIER INNOVIA Metro 300 trains for Kuala Lumpur. The lightweight, aluminium four-car trains, delivered to Prasarana Malaysia Berhad, have been increasing capacity on the Kelana Jaya Light Rail Transit Line in Kuala Lumpur since the first vehicles began service in December 2016. A committed partner to Malaysia, final assembly and interior fit-out for the trains was carried out at the Bombardier HARTASUMA Consortium facility in Westport. Bombardier’s INNOVIA fleet has a proven track record of safe and reliable operation. The state-of-the-art INNOVIA Metro 300 trains can move up to 30,000 passengers per-hour, per-direction, and ridership on the Kelena Jaya Line has increased by 26% to over 270,000 passengers daily since early 2017. The delivery of the new fleet supports Malaysia’s target that 40% of all commutes across the Klang Valley will be made by public transportation by 2030. Bombardier is also providing further integrated mobility solutions, helping the government deliver its economic and public transportation development programmes. This includes an additional 27 four-car INNOVIA Metro 300 trains to be delivered to Prasarana by 2022 and a major refurbishment programme for the original fleet running on the Kelana Jaya Line. In addition, the first two lines of the Klang Valley Mass Rapid Transit system are being equipped with the BOMBARDIER CITYFLO rail control solution. Bombardier, INNOVIA, and CITYFLO are trademarks of Bombardier Inc. or its subsidiaries. This entry was posted in Business, Trains, Transportation, Travel, Travel Management, Travelers and tagged Bombardier, INNOVIA Metro fleets, Jayaram Naidu, train. Bookmark the permalink.